There are some days when we just don’t have the time to wash our hair, and then there are those days when we just can’t be bothered to wash it. For those hurried days and the lazy ones, we have put together some ideas that could leave you looking like you had a hairstylist do your hair, when five minutes and some hair spray is all you spent on doing up your hair. 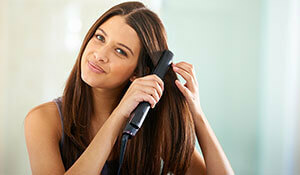 Luckily for you, there are hairstyles that look good only on the second or third day of washing your hair. All you need are a few key products to help you achieve the look. Spray some hair spray and comb your hair back with your fingers. It creates a little texture to your hair. Gather the hair in a high ponytail and secure it with an elastic band. Wrap the loose end of the ponytail around the elastic and secure the ends with bobby pins. Pull out a few strands and fluff up the bun to give it a messy look. You could also add a colourful fabric head band to cover up the greasy hair in the front. Knotted head bands are having a moment right now, and you could try one of those! 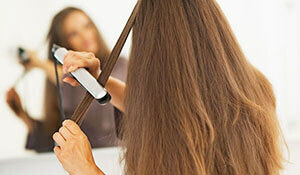 Use hair spray on your hair and pull back all your hair into a ponytail and you can take it as high as you want. Secure the ponytail with an elastic band. Slick back all the baby hair around your hairline with a little hair spray for a ultra-sleek look. This hairstyle is great for longer lengths of hair and can be worn casually or formally. 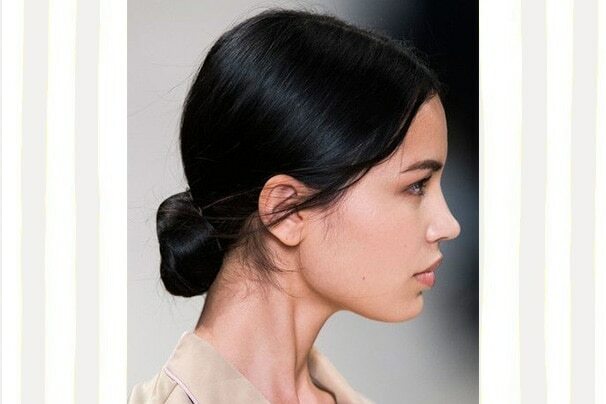 Secure all your hair at the nape of your neck with an elastic band in a ponytail. Wrap the entire length of your hair around the elastic band tightly and fasten the ends with bobby pins. Use hair spray to take care of the baby hair around your hairline. Gather all your hair in a high ponytail. Braid the length of your hair and secure the end with an elastic band. Tame the fly aways with a little hair spray on a tooth brush. This hairstyle is perfect for an outing to the gym as well. Part your hair in the middle and start braiding each side from the front towards the centre of the back of your head. Secure the braids with elastic bands. Gather all the remaining hair and the ends of the braids and twist it into a bun. Secure the bun with bobby pins.